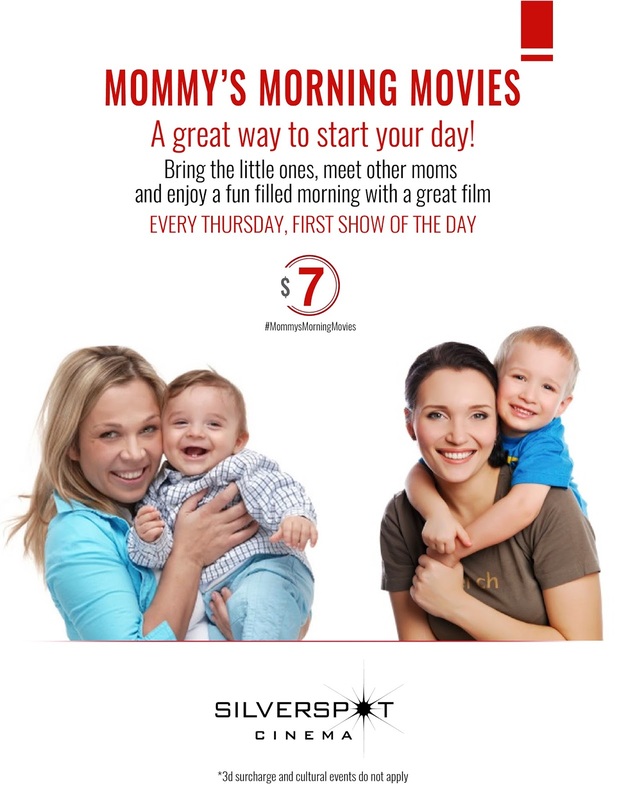 Silverspot Cinema at the Mercato in Naples has launched “Mommy’s Morning Movies,” a special program geared to moms with babies and tots to enjoy a discounted movie together every Thursday for the first show of the day. Tickets are discounted to $7 compared to normal pricing which is $12.50 and $14.50. Children ages one and under are free though, so definitely bring little brother or sister while your older child takes in a flick. I was already a fan of the high-end theater, so am excited to be able to take our family and experience a movie out together without worrying if my boys get fidgety and so forth since I'm sure we'll all be in the same boat. Will be fun to chat with other moms too. Also, with summer heating up, a day in the AC with other kids and a movie will be a diverting respite from the sun. Silverspot Cinema is located at 9118 Strada Place in Naples, Florida. Thanks for inviting us! We had a blast!